Lionel Ross was born in 1935 and lives in Manchester, England with his wife Luise. He has two sons and six grandchildren. He originally worked in textiles but is now a full-time author and publisher. His first novel ‘Fine Feathers,’ was originally published by PublishAmerica in 2005 and received considerable critical acclaim. (Subsequently re-published in the UK by i2i Publishing.) His second novel ‘Hidden Heritage’ (2006) launched him into the entirely new world of the Historical Saga. This was followed in 2007 by ‘The Baghdad Declaration,’ a thriller with the backdrop of the Iraq War. 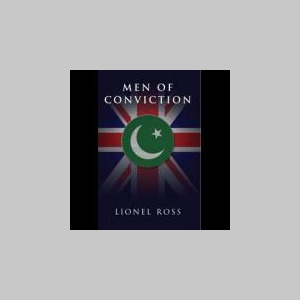 His large and growing band of readers has waited patiently for ‘Men of Conviction’ his fourth offering. There can be no doubt that it will be enthusiastically received.